I first fell in love with wine over a bottle of 1961 Krug back in 1969. It was Champagne that was my first love, Champagne that sent me down this glorious road. Soon thereafter I encountered a bottle of 1959 La Tâche and I was captivated by the magic of Burgundy. Those two great bottles pretty much framed my view of the wine world that hasn't really changed much over the ensuing decades. I've dreamed of making Champagne for a long time. I toyed with the idea of making sparkling in Oregon, but ultimately decided that if I was ever going to make sparkling it would have to be the real deal, Champagne. The opportunity to realize a long-time dream came to me with a gracious offer from Sophie Cossy to collaborate on a wine that we would make together from her grapes and in her winery in Jouy-lès-Reims. 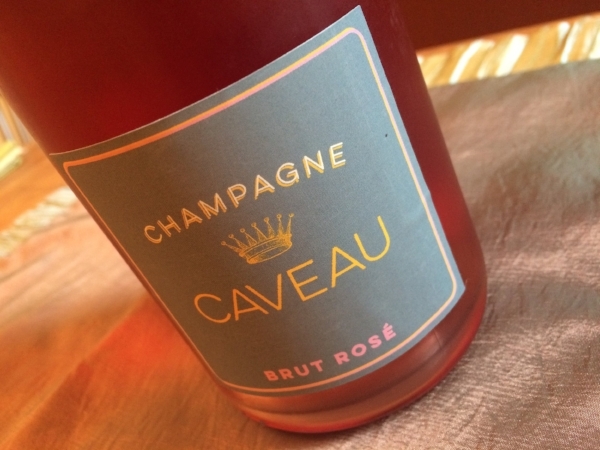 Our first release, the Caveau Extra-Brut was sold on pre-arrival in the spring of 2015 and quickly sold-out. Sophie and I then got to work on our next cuvée, which was released in the spring of 2016. Our third cuvée was released 2017. It's a blend of 35% Pinot Noir, 40% Pinot Meunier, and 25% Chardonnay from the 2011 vintage, aged over five years on its lees, disgorged in November 2017 with a dosage of 1.6 grams/liter. I could not be happier with the results. It's a wine with beautiful citrus, lemon-lime notes coupled with lovely brioche and yeasty aromatics. Fresh and clean, rich fruit and great precision - this is what I want to drink! ONLY 100 cases were produced. Our Caveau Brut Rosé made it's debut in 2017, another collaboration with Sophie made with fruit from her 1er Cru vineyards in Jouy-lès-Reims. Wild strawberries, subtle floral aromas, fresh ripe berries - it's a pretty rosé of elegance and finesse that makes you just want another glass. We're producing only 50 cases per year of the Rosé - a rare and delicious treat!